Reinforce Pet Waste Policies at your Property with Deluxe Pet Waste Stations from Great American. FREE Shipping – order today! Metal Deluxe Pet Waste Stations - Signs with Fines Lifetime Guarantee! Best-selling pet waste station for 19 years! Never replace a station again - GUARANTEED for LIFE! Lifetime Guarantee! Best-selling pet waste station for 19 years! Less Refills - holds up to 2000 pet waste bags. Universal fit guaranteed to hold ALL header and roll dog poop bags. Encourage pick-up policy compliance with signs with fines stations. Never replace a station again - rust-proof construction. Unconditional Lifetime Guarantee – Paw Pal’s® Metal Deluxe Pet Waste station is the ONLY station guaranteed for life. It's the ultimate in quality and convenience with everything you need to get started. Choose from 4 colors and 3 fine amounts. Universal-fit dispenser has exclusive rain guard to keep both header and roll bags protected. Lidded trash keeps odors in, rain out. Durable, weather-resistant steel and aluminum construction won't rust. Each pet waste station comes with best-selling poop bags, trash can liners, and door hangers to encourage residents to pick up after their pets. FREE Shipping - Ships same day! Available in 4 fun designs! Exclusive trash can and sign! Best Buy - Fits ANY Dispenser! 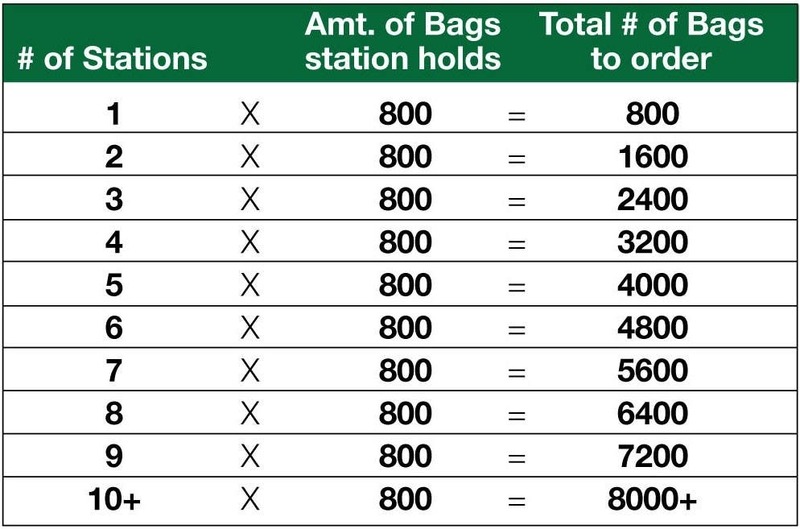 Deluxe Station + 2,400 Bags!